We here at Review Trackers love HootSuite. To us, it’s one of the world’s best social relationship platforms, and our team uses it every day to engage with fans and followers on social networks like Facebook, Twitter, Google+, LinkedIn, and more. We think you ought to give the tool a try, if you aren’t yet using it. Not only does HootSuite help business owners connect with existing and potential customers on their favorite social networks; it also serves as a great tool to establish and boost your online business reputation, which, according to studies, can account for 63 percent of a company’s market value. 1. You can listen to your customers’ opinions. The first step to improving your reputation is to listen to conversations about your business and figure out where you stand. What do your customers really think? What do they want? What are their problems and how do you help solve these problems? Do they have a positive opinion of you or a negative opinion of you? These sorts of questions won’t remain unanswered for long if you use a tool like HootSuite to listen to what your customers are saying online, in real-time. 2. You can more clearly establish your brand identity. Social media is one of today’s most dominant marketing channels. But establishing your presence in so many sites can be confusing and add to the noise and clutter. This is where HootSuite can come in: by organizing your social streams, reducing the clutter, and increasing the efficiency of your branding efforts on social media. 3. You can increase customer engagement levels. One of the best, most natural ways to enhance your reputation is to provide consistently excellent customer service and engagement. With HootSuite, you can easily respond to customers on their favorite social networks and provide reassurance that you’ll help resolve whatever their issues, concerns, and problems are. 4. You can monitor and manage your online reviews. Recently, we worked with the HootSuite team to create a ReviewTrackers integration and add it to the HootSuite App Directory. Now, you can track, manage, and respond to your business reviews on HootSuite: a feature that a lot of Review Trackers users asked for. 5. You can demonstrate leadership and authority. 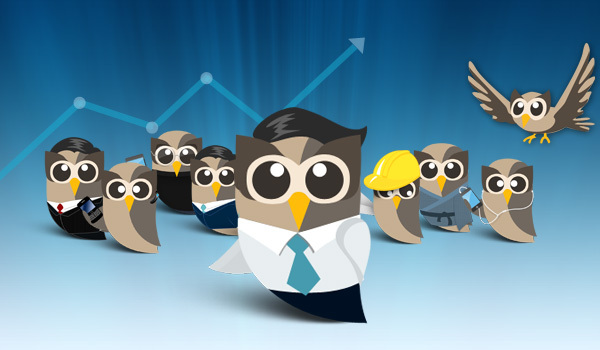 HootSuite comes with the ability to monitor certain keywords on social networks and save custom searches. This is great particularly for those who are looking to build their industry authority, focus on specific niches, and engage with a targeted audience.